Meet Chris Attrell. 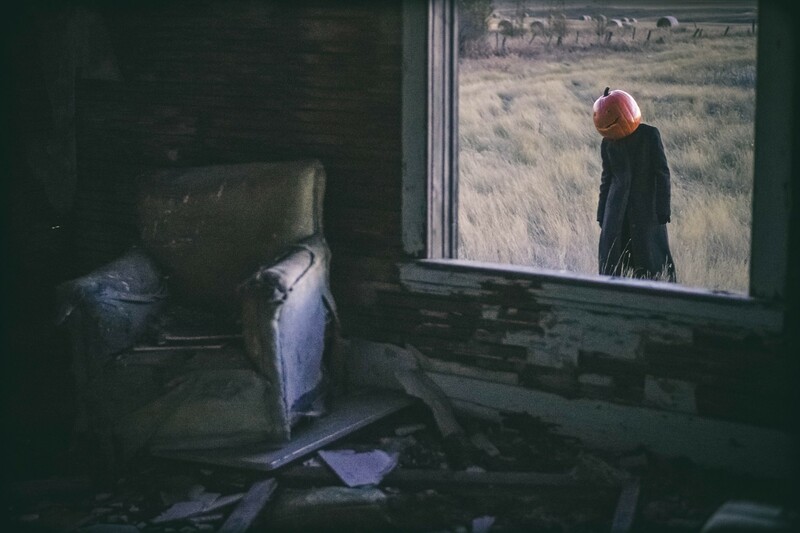 The photographer and creative mind behind some of Saskatchewan’s creepiest photographs of abandoned buildings. Originally born in Calgary, Alberta, he was raised in Houston, Texas but decided to move to Saskatchewan ten years ago to take advantage of the housing market in the southwest corner of the province. A web developer and professional portrait photographer by day, at night he takes his photography passion to the next level. 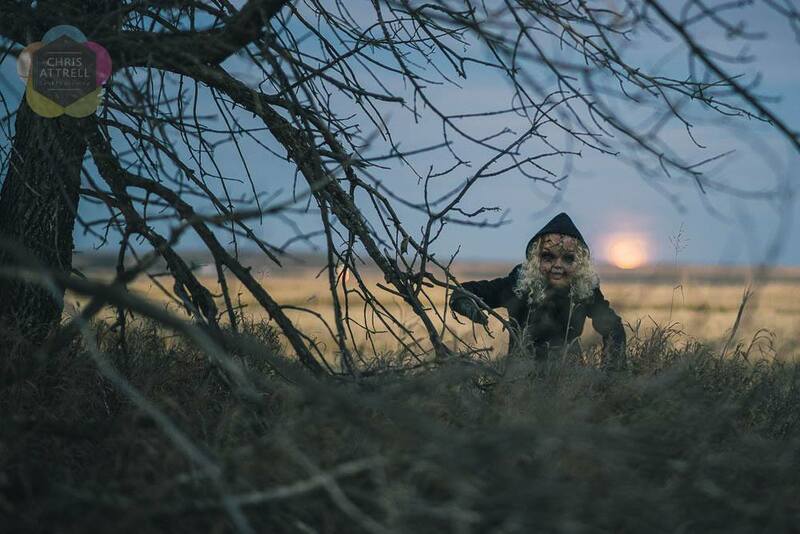 He captures Saskatchewan’s abandoned buildings with a creative twist of eerie lighting, costumed characters and creepy dolls. 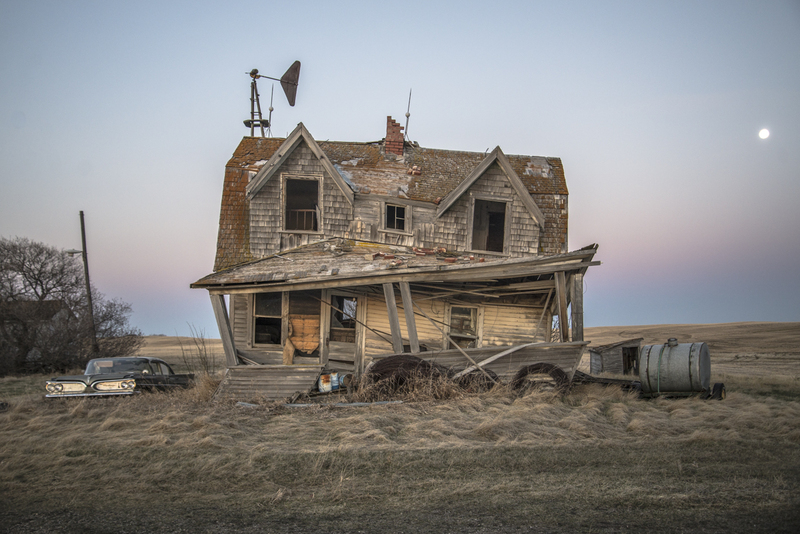 In 2003, Attrell became fascinated with deserted buildings found throughout Saskatchewan. 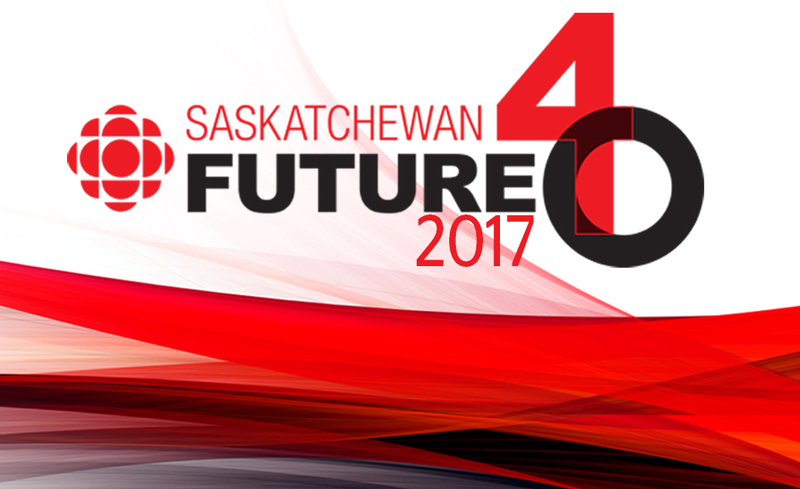 Spending a few days every week, Attrell travels the countryside near his home of Shaunavon, Sask. in search of unique shooting locations. Once, he even drove five hours to photograph a church only to discover it had burned down days before. Throughout the year, he enjoys taking several longer trips to explore further. As interest in his unique photography style grew in popularity, so did the likelihood of having others accompany him on his trips. In fact, that’s how the dolls in his photos became a signature-style for him. 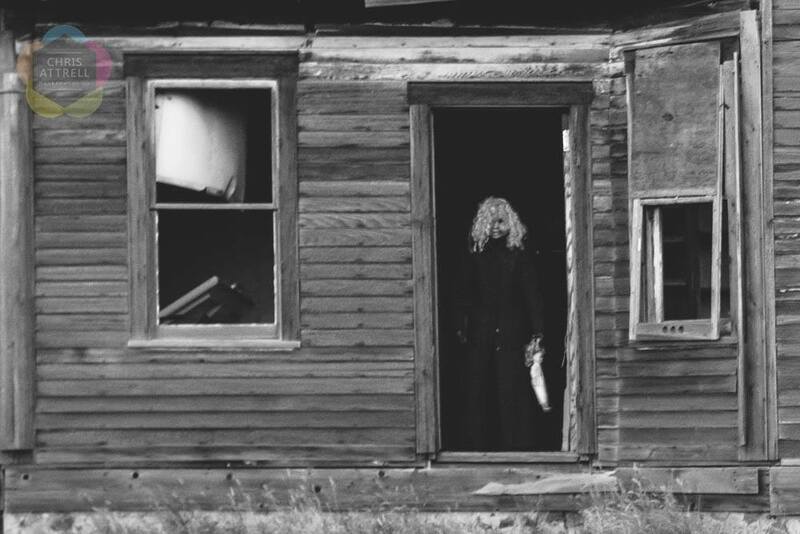 In 2011, Attrell came across an abandoned house with a creepy doll in it, so he posed it in the window. By coincidence, a woman from Chicago he had been exploring with earlier stumbled across the same house. 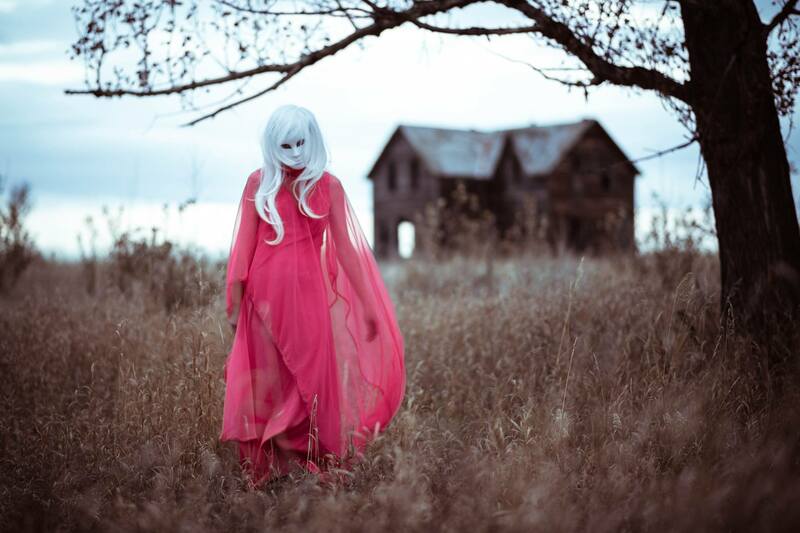 She remarked on the eerie nature of the doll. 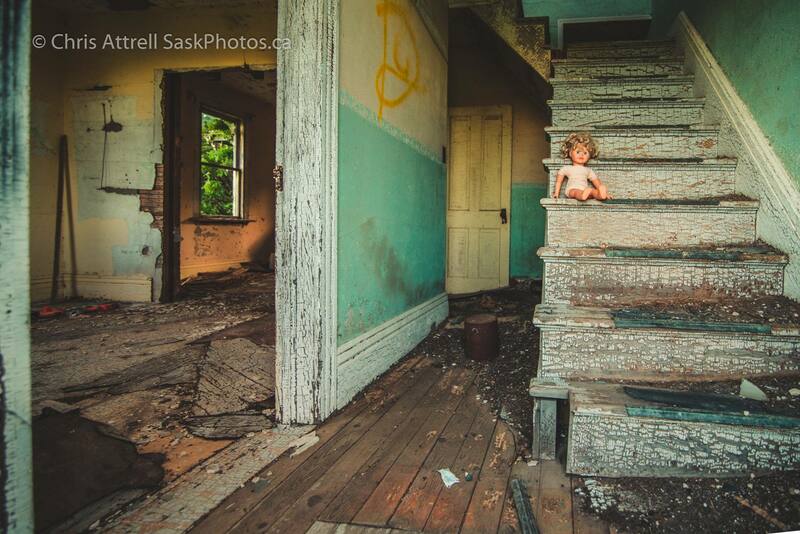 Attrell continues this tradition in abandoned buildings around the province, sometimes leaving the dolls for others to find and sometimes keeping them for future photo shoots. 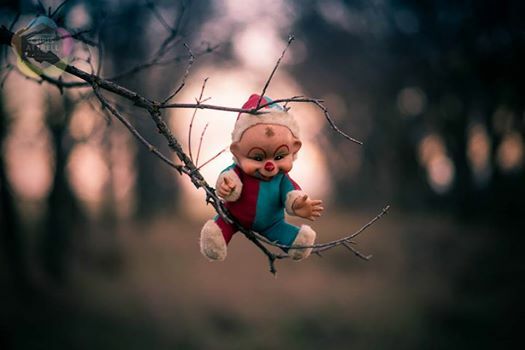 Residents of his small town even gift Attrell dolls, knowing how he likes to use them in his photos. His favourite building he has explored is a house he searched for years for. (He has a “don’t ask, don’t tell” policy in regards to abandoned building locations and always asks permission from the owner before entering the homes). The house was torn down shortly after he photographed it. 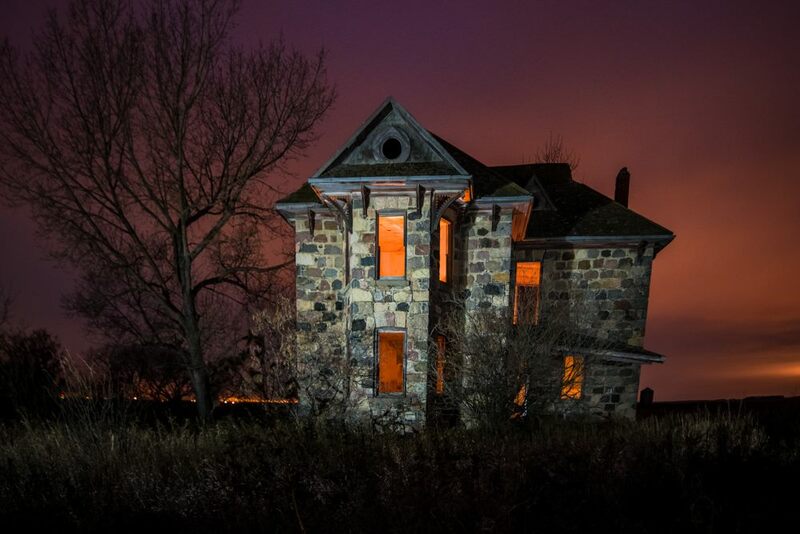 Lighting many of the abandoned houses with fake LED candles which he purchases in bulk, Attrell credits the popularity of his photography to these little lights that add both a creepy and haunted look to his images. He says it gives the homes a bit of their glory back by highlighting them in an interesting way despite how worn they may be. But most of all, Attrell enjoys how remote some places in Saskatchewan can feel. The best part of his photography road trips are the many surprising and interesting places to discover that very few people know about and have visited themselves. He loves the excitement that comes with going down a new road, waiting to see if there is something to discover at the end of it. 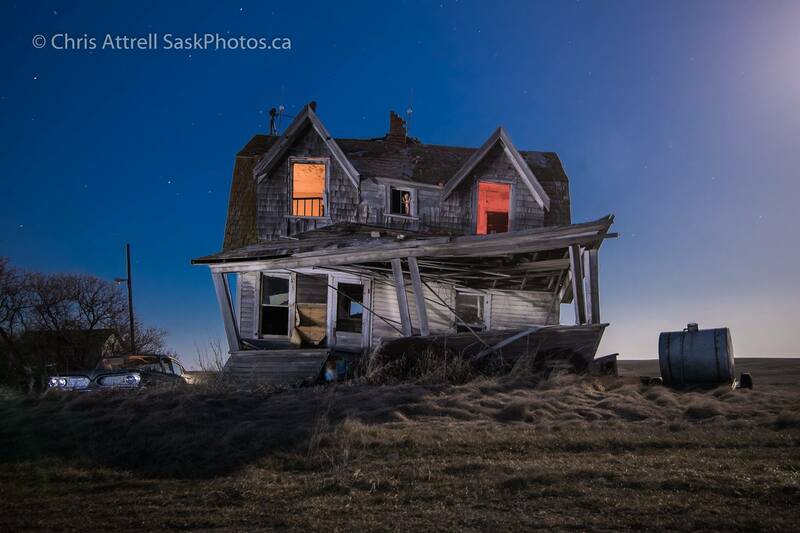 If photographs aren’t enough, check out Attrell’s stunning timelapse compilation of abandoned houses from around Saskatchewan. 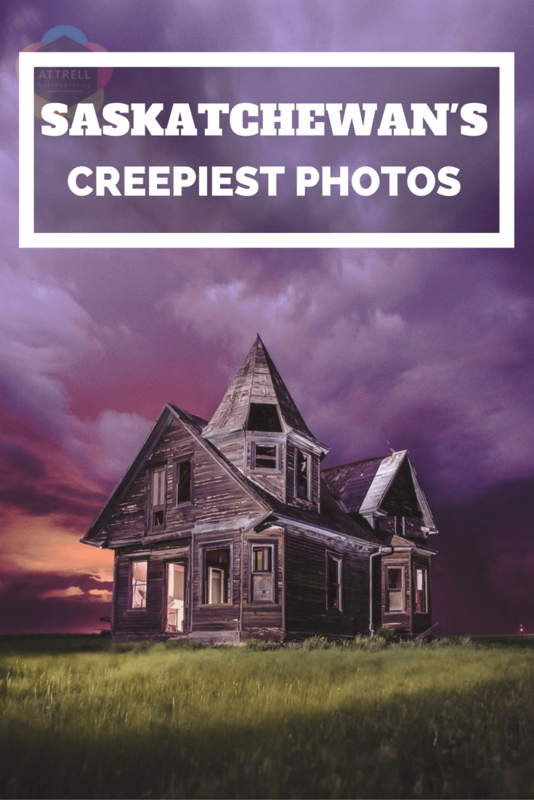 Interested in seeing more of Chris Attrell’s creepy and haunted photography? You can find him on Facebook and Instagram as well as on his website www.saskphotos.ca/. *All photos and videos within the article credited to Chris Attrell.